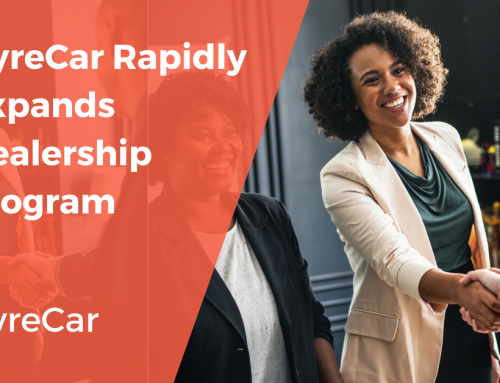 LOS ANGELES – November 7, 2018 – HyreCar Inc. (Nasdaq: HYRE), the carsharing marketplace for ridesharing, today announced the Company has expanded access to its proprietary platform for drivers and vehicle owners in all 50 U.S. states. This expansion represents an increase from the Company’s previously announced availability in 34 states. 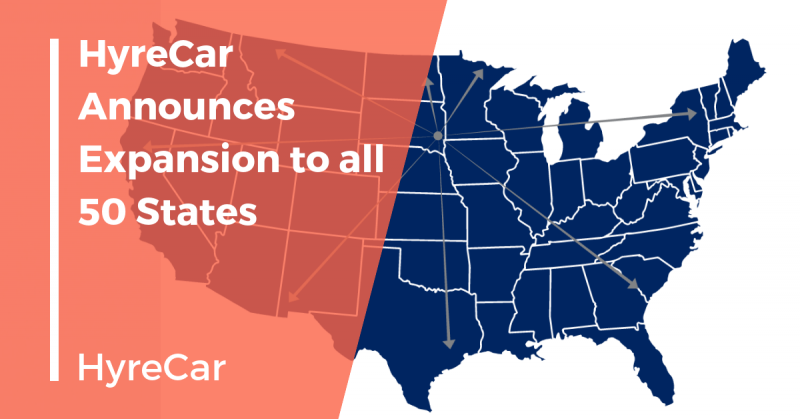 The Company has added Delaware, Oklahoma, Nebraska, Arkansas, Rhode Island, New Hampshire, New Mexico, Maine, Idaho, South Dakota, Alaska, North Dakota, Vermont, Montana, West Virginia and Wyoming to its carsharing marketplace platform. In addition to its peer-to-peer services, these new states will showcase the Company’s ability to ramp inventory through HyreCar’s commercial division focused on dealer based shared mobility. 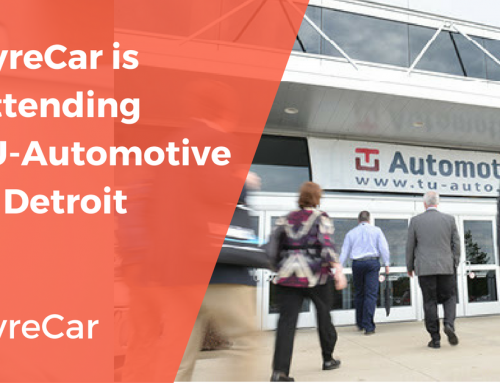 The Company has a backlog of over 200 multi-location dealerships interested in adding cars to the marketplace. With this announcement, HyreCar is positioned to continue building the ridesharing industry, which is estimated to grow eightfold to $285 billion by 2030. “This is a historical moment for HyreCar,” added Abhi Arora, Co-Founder of HyreCar. “As a Founder, it is extremely gratifying to have grown the Company’s presence from 4 to 50 states in just three years. Our mission has always been to build roads to financial freedom – I can proudly say that this opportunity is now available to everyone regardless of a driver or vehicle owner’s state of residency,” concluded Arora. 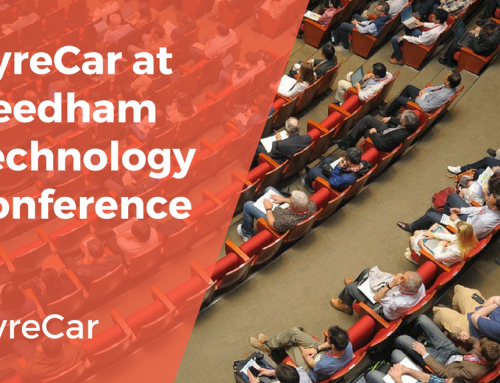 HyreCar Inc (Nasdaq: HYRE) is the carsharing marketplace for ridesharing through its proprietary technology platform. The Company is establishing a leading presence in Mobility as a Service (MaaS) through vehicle owners and institutions, such as dealers and OEM’s, who have been disrupted by automotive asset sharing. HyreCar currently operates in all 50 U.S. states and Washington, D.C., providing a unique revenue opportunity for both owners and drivers. By providing a safe, secure, and reliable marketplace, HyreCar is transforming the industry – one driver, one vehicle, one road at a time. For more information, please visit www.hyrecar.com. Statements in this release concerning HyreCar Inc.’s (“HyreCar” or the “Company”) future expectations and plans, including, but not limited to, HyreCar’s partnerships and technology solutions, its ability to add and maintain additional car listings from car dealers and consumer demand for cars to be used for ridesharing, may constitute forward looking statements for the purposes of the safe harbor provisions under the Private Securities Litigation Reform Act of 1995 and other federal securities laws and are subject to substantial risks, uncertainties and assumptions. You should not place reliance on these forward looking statements, which include words such as “could,” “believe,” “anticipate,” “intend,” “estimate,” “expect,” “may,” “continue,” “predict,” “potential,” “project” or similar terms, variations of such terms or the negative of those terms. Although the Company believes that the expectations reflected in the forward-looking statements are reasonable, the Company cannot guarantee such outcomes. HyreCar may not realize its expectations, and its beliefs may not prove correct. Actual results may differ materially from those indicated by these forward-looking statements as a result of various important factors, including, without limitation, market conditions and the factors described in the section entitled “Risk Factors” in HyreCar’s Prospectus, dated June 26, 2018, and HyreCar’s other filings made with the U. S. Securities and Exchange Commission. All such statements speak only as of the date made. Consequently, forward-looking statements should be regarded solely as HyreCar’s current plans, estimates and beliefs. Investors should not place undue reliance on forward-looking statements. HyreCar cannot guarantee future results, events, levels of activity, performance or achievements. HyreCar does not undertake and specifically declines any obligation to update, republish, or revise any forward-looking statements to reflect new information, future events or circumstances or to reflect the occurrences of unanticipated events, except as may be required by applicable law. I live in Charlotte NC and I am looking to start renting my vehicle. How is the Charlotte market?..I haven’t heard of HyreCar until now. Thanks! Hello John! Please visit https://app.hyrecar.com/partner to create an account and begin listing your vehicle. If you need any assistance after you sign up, feel free to email partner@hyrecar.com or give us a call at (213) 269-5330.